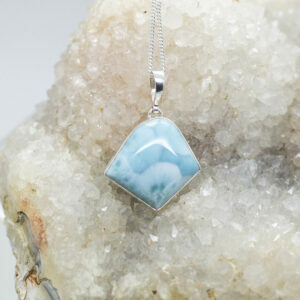 Larimar is a relatively new find that occurs one place on earth – on the island of Hispaniola, in the Caribbean Sea. 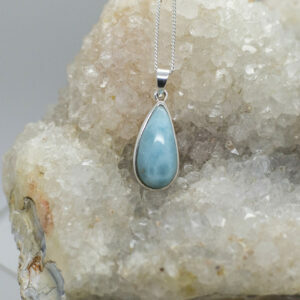 Larimar was originally discovered in 1916 by a Spanish priest who reported the discovery but no mining was done. 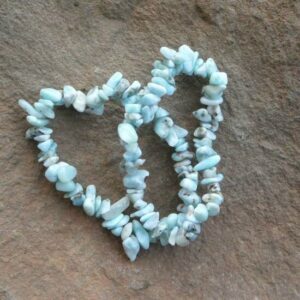 Then, in 1974, the American Peace Corps Volunteer, Norman Rilling, and the Dominican, Miguel Mendez, rediscovered the stone on the beaches of Barahona. 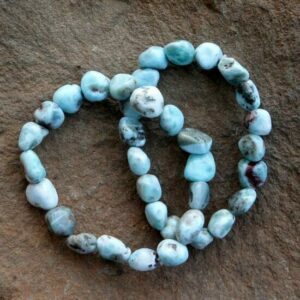 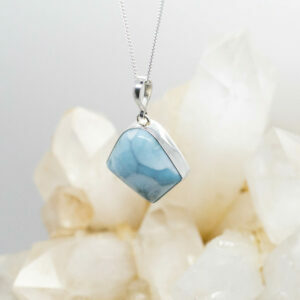 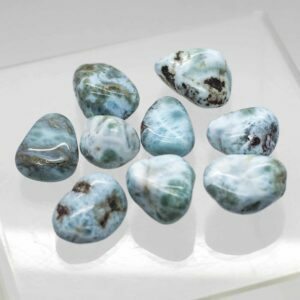 It was determined by geologists that larimar is a rare form of blue Pectolite.